An ideal everyday skincare to moisturize and protect your skin from pollution and irritant metals (Nickel, Chromium, Cobalt). Recommended for sensitive, allergic and reactive skin. Scientifically proven benefits! It is recommended for sensitive, allergic, irritated (acne, eczema…) or reactive skin. 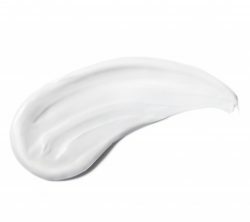 The Moisturizing Lotion HP is: paraben free – metal free (no Nickel, Chromium or Cobalt…) – fragrance free – EDTA-free – BPA free (no phthalates, bisphenol, non-toxic plastic) – sulfates free (no SLS & SLES) – gluten free – silicone free (no dimethicone) – alcohol free – mineral oil free (petroleum free) – lanolin free. * When the lotion is used once daily on the body, scientific tests have shown: +35% moisturise increase from day one. I’ve been using Skintifique Moisturizer for three weeks. I suffer from eczema and other skin allergies so it’s extremely important for me to find a moisturizer that is compatible with my skin. 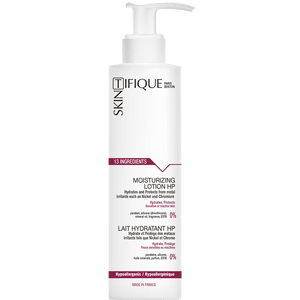 Skintifique Moisturizer is the perfect diet for my skin. I’ve been applying it three to four times daily on my hands and face. It goes on smoothly and is absorbed quickly. It feels soothing and nourishing. Over this short course of time, there had been a noticeable improvement in the texture of my skin. The skin on my hands and face feel much softer. I believe this moisturizer has helped my skin to replenish and retain moisture. I’ve only had positive effects from Skintifique Moisturizer. I will continue to use it as part of my daily skin regimen.